Today, the Austin City Council by a 7-0 vote, approved the following benefits to Planned Parenthood, using taxpayer dollars to give money to Planned Parenthood. We appeared at a press conference this morning against these measures and registered our opposition at the Austin City Council meeting. Agenda Item #4: Authorize the negotiation and execution of a ten (10) year lease renewal with one (1) option to extend for an additional ten (10) years with PLANNED PARENTHOOD, INC, for the use of a City-owned .35 acre tract of land improved with a 3,720 square foot free standing building located at 1823 E. 7th Street, for the purpose of operating a family planning clinic. The lease revenue is $1 annually. Agenda Item #9: Authorize negotiation and execution of a $50,000 contract amendment and 6-month contract extension with PLANNED PARENTHOOD of Austin, TX, to provide teen pregnancy prevention services to youth for an amended 15 month contract amount not to exceed $85,605, and a total contract amount not to exceed $133,078. Funding in the amount of $50,000 is available in the Fiscal Year 2009-2010 Operating Budget of the Health and Human Services Department. The contract period is January 1, 2010 – March 31, 2011. Prior to the hearing and vote by the Travis County Healthcare District on taxpayer funded abortion, the TCHD said they wanted to know what people in Travis County thought about this issue. 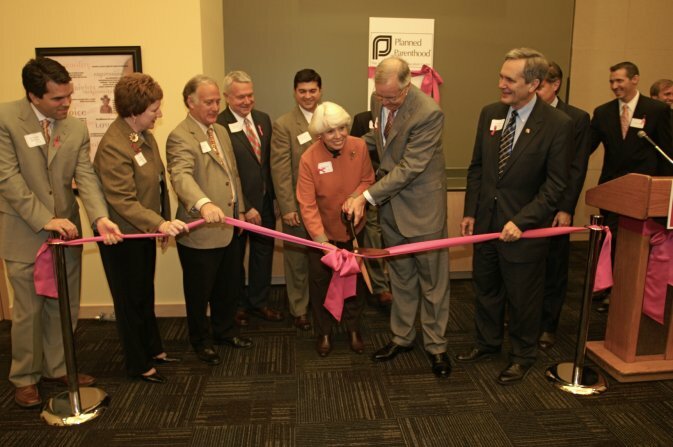 Well, in less than two weeks almost 10,000 Travis County residents signed a petition opposing Travis County Healthcare District’s proposal to use $450,000 of taxpayer dollars to pay for abortions on healthy women, including $$ for Planned Parenthood. According to the hearing, 10,000 is twice the number of people that voted to create the Travis County Healthcare District, in 2004. In the hearing last night, this stack of signatures was laid before the TCHD board members. 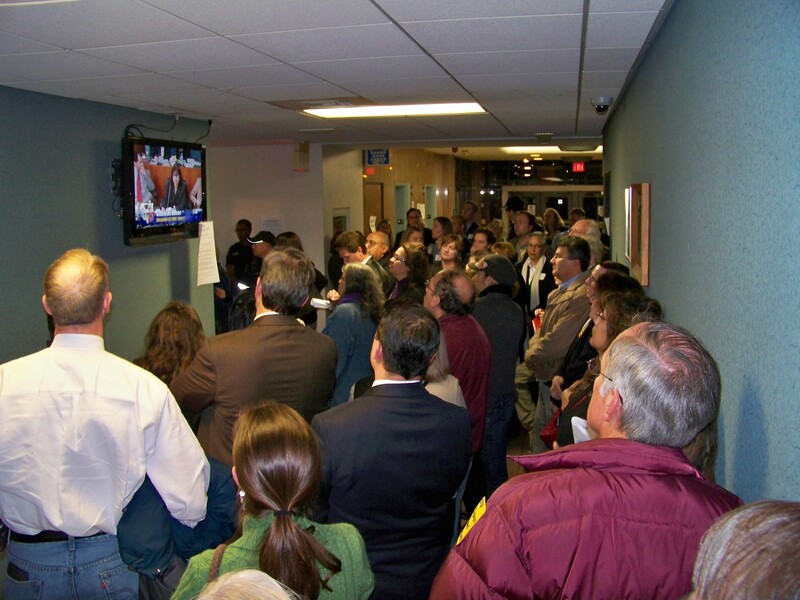 Additionally, the entire hearing room was packed, and a massive group of supporters stood outside the hearing room, watching and listening to the proceedings on a monitor in the hallway. Nearly fifty (50) people also signed up to testify against this outrageous proposal. However the TCHD board cut the hearing short, and only allowed less than 15 of them to testify. The overall turnout was easily 2 to 1 in our favor. At the end of the day, the TCHD bowed to the pressure of Planned Parenthood and the abortion industry and ignored Travis County taxpayers. The good news is, this is just the beginning of this issue and going forward we need to inform more people about how TCHD and Planned Parenthood are working to get around federal and state law, which bans tax dollars from being used this way with federal and state tax dollars. Forward this petition to your friends who did not get to sign it and help inform them about this issue! Click here to DOWNLOAD & SIGN THE PETITION! Petition against TCHD property tax-funded abortions Fill up the the petition and send it back to us by FAX at: 512-478-2229. WHAT DO YOU THINK ABOUT THIS??? POST YOUR COMMENT HERE! Quorum Report is reporting that Democrat State Representative, Garnet Coleman (D-Houston), is criticizing the TMA’s position. The QR piece says that the Obama Whitehouse asked Rep. Coleman to a be a pointman in Texas for selling healthcare reform. It should frighten all Texans that Obama wants Coleman to be a leader on healthcare issues, and it should tell us something about what type of “reform” Obama is seeking. Who is State Representative Garnet Coleman? Well just a few recent details. He supported HB 2221, by Rep. Jessica Farrar (D-Houston), filed this past Texas Legislative session, which would have forced Texas hospitals to give out emergency contraception (which can cause an abortion) to alleged sexual assault vicitms. This would apply to public and private hospitals, including Catholic (as was specifically pointed out during the testimony of another person) and other faith-based hospitals, which would force doctors to violate their conscience by forcing them to participate in causing an abortion. Can you say – taxpayer funded abortions? This bill received a hearing in the House Public Health committee, and committee member Rep. Coleman (D-Houston), thundered away at us, in favor of this bill, when we testified against it. Thankfully, this bill was never voted out of this committee. Rep. Coleman himself, filed a bill during the now ended Texas Legislative session, H.B. 2968, that would have removed the current law that informs women, as a part of informed consent before an abortion, that there is a possibility of increased risk of breast cancer following an induced abortion. This bill thankfully never received a hearing. These two bills failed in Texas Legislative session, but are prime examples for what the government is capable of doing when it has ultimate control over healthcare. Forcing Catholic and other faith-based hospitals and healthcare providers to cause abortions, against their conscience, and censoring information about risks to women is the wrong directions for our state and our country. Is this the type of reform Obama and Congress want for healthcare? 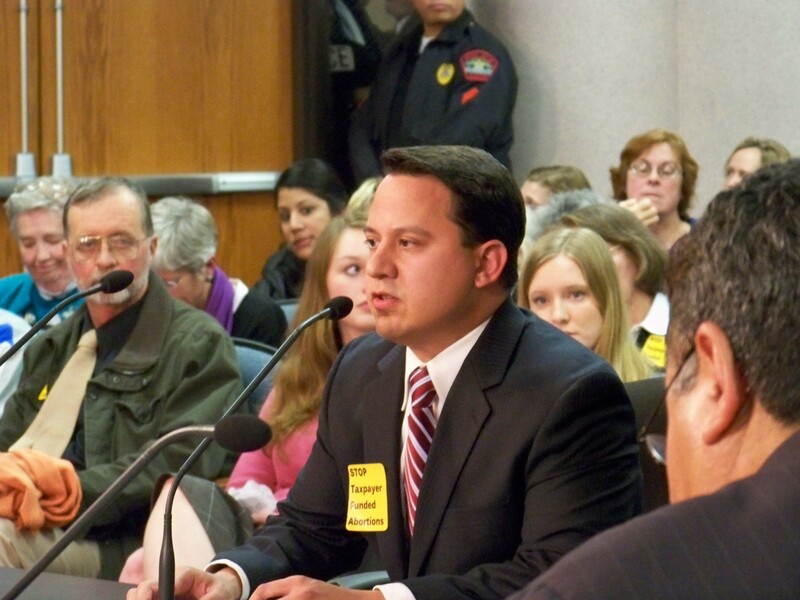 We testified last week against Travis County’s efforts last week to use $450,000 of taxpayer funds to pay for abortions. Their response by the Travis County Health District after ours and the testimony of many others, was to run and hide in “executive session”, which means they discussed their intentions on this issue behind closed doors. Is this what the future of healthcare is going to look like? Bureaucrats behind closed doors wasting our tax dollars on life destroying practices? What an outrage. STAND WITH US & Call the Travis County Health District (512-978-8000) and tell them you don’t want your tax dollars to be used to pay for abortions and that you want this issue to be discussed in open view by the public! They have not yet voted and you can rest assured they are being heavily influenced by the abortion lobbyists. Planned Parenthood had two persons there testifying IN FAVOR of tax dollars being used for abortions.